Google has extended it lead in the UK search market which shows no sign of slowing down, with the proportion of searches containing four or more words increasing. James Murray, Digital Insight Manager, Experian Marketing takes a look at the latest UK search trends. UK search engine usage in, 2012 has consistently outperformed the corresponding month from 2011. On average, the UK is making an additional 93 million visits per month to search engines compared to the same month in the previous year. This equates to an average year-on-year growth of 4.3% in visits. Increasingly search on Google is getting more complex as UK Internet users are searching for longer search phrases and the long tail of search.  is slowly showing signs of taking off . 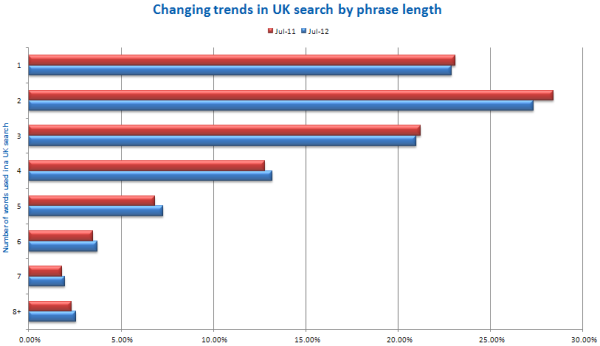 The chart below show that increasingly longer search phrases are being used with four or more words per search phrase.